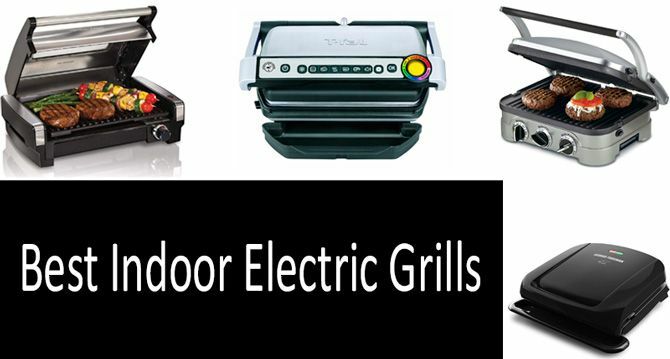 This guide will tell you about TOP-5 best indoor electric grills available on the market and the main distinctions between their types. You will also learn how these devices operate and what essential things you should consider before buying an item. Find out what benefits they offer and what drawbacks they have. Read a detailed FAQ section to get answers to the most common questions of customers and take a look at a chart to compare the products that are currently in demand. How does an indoor electric grill work? What are the types of indoor electric grills? It's no secret that just about anyone enjoys a nice grilled meal. However, we typically associate the act of grilling with outdoor situations, often on afternoons where the weather is good enough to have an outdoor party. Though it's technically possible to grill things in the rain with a proper cover, it's an incredibly inconvenient task and ultimately not worthwhile for many. There are other ways you can grill, though! Indoor electric grills are great devices for grilling in the middle of any type of climate, allowing you to do it all indoors with little to no mess! That being said, the market for these devices is quite large and can feel difficult to navigate. This is why I'm here to help. Indoor electric grills work much in a significantly different way than traditional ones. This is not just for innovative purposes, but due to necessity — using a traditional product indoors is actually an incredible health hazard, as charcoal and gas are both elements of the process that will create carbon monoxide, a deadly gas that can't be seen or smelled. This is actually a large cause of many deaths around the world per year, so please exercise caution and invest in an indoor electric product instead. Indoor electric models work by using electricity to heat up a cooking base. The cooking base is typically made up of lines that are raised in an upward fashion to put each thing you're cooking the same impression it would get if it were grilled. When looking at indoor electric products, it's important to understand that there are two specific types: folding contact models and open models. A folding contact product might sound like an unfamiliar concept, but it's very likely that you've already come across one in your everyday life. For example, a Panini press would fall under this category as a mechanism that allows you to press down on a sandwich as a means of cooking it and putting char marks into the top. This is exactly the way that folding contact products work, allowing you to put meat on it and press down using a top cover, cooking and marking it in the process. On the other hand, open models function very similarly to the traditional concept of an outdoor grill. They cook from the bottom up with the electricity powering a cooking base, but there is typically also a cover that will also use the smoke that results to further flavor the piece of meat, an aspect of the product that makes it very similar to its roots. Though less common, there is also another type of indoor electric product that is open but without a cover, simply letting users grill and flip the food over when it is done cooking on any given side. In addition, there is an electric flat top grill that looks like a griddle but operates in a different way as it has circular heating element, not the straight one. Some electric grills may come with both grilled and flat top plates. When looking for an indoor electric model, ultimately which type will be best for you depends on your preference. This is because none of the different types are more efficient than others, so any given product will only be effective for you if you need its features. 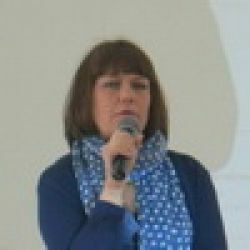 The differing aspects highlighted in the previous section are good indicators for what you should be looking out for when finding different products. Below, you will find a review of TOP-6 best products at a price ranging from $25 to $75. These are appliances of two main types: folding contact and open. They differ in the capacity, design and weight. Some models are intuitive to use and easier to store while others have an advantage of being made from strong and durable material. If you are interested in an affordable model that will give you all of the benefits of using an open product, you can't really go wrong with this Cuisinart Griddler. Something that I really love about this item is that it is dishwasher safe, allowing you to easily wash it with the rest of your dishes without having to worry about compromising the product itself. If you want to be extra careful about cleaning your device, it also comes with a scraper that you can use to get rid of those tough-to-reach spots. The three different dials you can use also allows you to adjust the cooking time and temperature quite effectively, giving you a good amount of variety to choose from. There are also a handful of included recipes that allow you to cook your food efficiently without having to constantly keep your eye on the device! The only downside with this model is that it is a folding contact one, which I personally did not find was as effective as open products at getting good flavor. However, because it ultimately comes down to preference, I thought it was worth including on this list. This is a product that will truly amaze you. Not only is it incredibly affordable considering how high-quality it is, but it's also very intuitive to use. The tray is dishwasher safe, it's very easy to clean overall, and there's a handy knob to turn to adjust the temperature and such. The only complaint I could have about this electric BBQ grill is that there could be more knobs to adjust the cooking style and speed, but that is a very small flaw to find and does not really affect the overall performance of this product. One of my favorite things about this product is the window that is included on top of the cover so you can look at the food and see it cook, an incredibly useful feature for anybody who wants to keep track of their food. Hamilton Beach's customer service is also incredible, being there with flexible hours to answer any questions about the device. All in all, I'm very impressed with this product, as it helps me do some pretty delicious grilling in a variety of different ways! For those who are looking for an open product that does not have a cover, this Gotham smokeless grill electric product is the best one on the market. Though I personally did not really enjoy having no cover, as I wasn't able to trap flavor into the food via the smoke, this is still the best product of its kind on the market. If you properly season the food, you don't have to worry about flavor and it's definitely possible to grill well with this product. It's also very affordable when compared to similar products on the market! Folding contact products are typically known for being cheap, but as a result some are not made with the most durable materials. As a contrast, this T-fal product is different than a majority of the products, offering you a very durable design that allows you to cook a lot of food quickly. However, the main downside to this is that you're likely paying significantly more than other products, but you definitely are paying for quality. It's hard to make a list about indoor electric products without mentioning George Foreman's products. This is because the man essentially invented the folding contact genre, popularizing the concept internationally. Though some might associate his products with being cheap, they're actually quite durable and effective. They're also very affordable, making this product the least expensive on my list. It also has a nice 35% faster heat up feature that allows you to cook your food pretty effectively while also removing fat with a special design that allows it to slope off. With this method, you're able to get the flavor out of the food without consuming unnecessary fat. On top of that, this is a lightweight and small electric grill that is easy to store. If you aren't afraid to spend the extra money for a product that truly imitates the traditional outdoor grills, this is the product for you. I really love how effective this product is, giving you plenty of space to grill large amounts of food while also being incredibly easy to use. The amount of space provided by the cover also allows you to trap a good deal of smoke to embed into the food. The only issue is that the price is likely prohibitive for many, but definitely worthwhile if you have the money. At the end of the day, the best indoor electric grill currently available is definitely the Hamilton Beach (25361). This is because the product allows you to effective grill food while also delivering it a great taste, not sacrificing the flavor when choosing convenience. The product is also made of incredibly sturdy materials, making it very strong and durable overall. One of the best parts about this product is that it also has a window on the top of the cover that you can look through while your food is cooking to ensure that it looks correct. This is especially important when grilling because if you lift the cover up (even if briefly) you run the risk of losing the smoke, something that can undoubtedly affect the quality of the grilling. It is also very portable while not being too compact, something that allows you to bring it with you while also being able to cook meals for a good number of people. After you're done grilling, you can also clean the product in a dishwasher, taking away the scrubbing that you're typically left with. On top of all of this, Hamilton Beach also has great customer service that can't be beat, with agents being available frequently to answer any questions you might have. Do indoor electric grills produce smoke? Yes, they do! Indoor electric grills produce enough smoke to flavor your food, but it's also important to note that they don't give off nearly as much smoke as traditional outdoor models. In addition, the smoke is produced solely by the food being cooked and not charcoal, so you can be sure that it is not a safety hazard. This means that the food will undoubtedly taste different than a traditionally grilled piece of food, though. No, they don't! Each product is labeled with the amount of electricity it uses, but it shouldn't be more than any other appliance that you have at home. How do you use an indoor electric grill? Indoor electric grills are typically used by just plugging them in, turning them on, and cooking your food! Any instructions specific to a product will be included with the product itself. In any event, it's important to read the included instruction manual to make sure that you are following the directions properly. How do you clean an electric grill? The first thing you should do when cleaning an indoor electric product is make sure that it is unplugged. After this, you should familiarize yourself with the instruction booklet for your device to make sure it doesn't have a specific method to be cleaned with. If not, you should be able to clean it just like any other device, but it's essential that you make sure it is completely dry before you plug it back in. Some devices are made to be dishwasher friendly, with the heating plates being removable and subsequently making the process even easier. If you are somebody who is looking to grill food without the trouble of using charcoal or hoping for good weather, an indoor electric product is a great investment. They provide you with a much safer, convenient way to get the iconic sear that many people desire with traditional grills. However, it's important to acknowledge that there are no indoor electric products that accurately mimic the real thing. Because of this, you should understand that you won't be able to get the exact same types of flavor or quality with an indoor electric product. That being said, this does not necessarily have to be a negative thing. Anybody familiar with cooking knows that there are multiple ways to do certain things, making it possible for you to use your imagination and get flavors out with other methods. Plus, when using a product that allows you to still create smoke and therefore apply flavor directly to the food, there are plenty of ways you can use it to get the traditional taste that many people have come to know and love. Because of this, I highly recommend you getting an indoor electric product. Once you find the product that is right for you, you'll be grilling delicious food in no time!